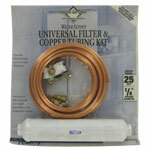 Crosley Refrigerator Filters reduces chlorine and other contaminants in your refrigerator water and Ice. 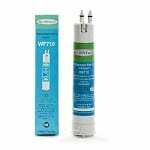 4396510 Whirlpool Refrigerator Water Filter replace part numbers 2255520, 4392922, 4396164, 43967611, 2203980, 9902, and 46-9902, 469902. 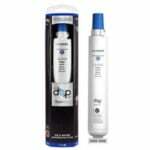 These refrigerator water filters remove more impurities than the 4396508. 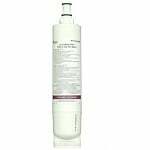 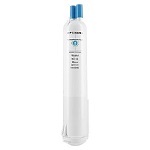 This genuine Whirlpool 4396508 Refrigerator Water Filter that will fit all refrigerators which use a Quarter Turn in-grille water filter including Whirlpool, KitchenAid, Maytag, and others. 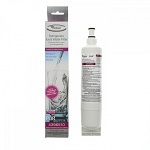 This refrigerator water filter replaces part numbers 2301705, 4396701, WF-L200, L200, WFL200, WF-L200V, L200V, WFL200V, WF-LC200V, LC200V, WFLC200V, WF-NL120V, NL120V, L120V, WFL120V, 4396702, 4396703, 2301706, Kenmore 46-9915, Kenmore 9915.